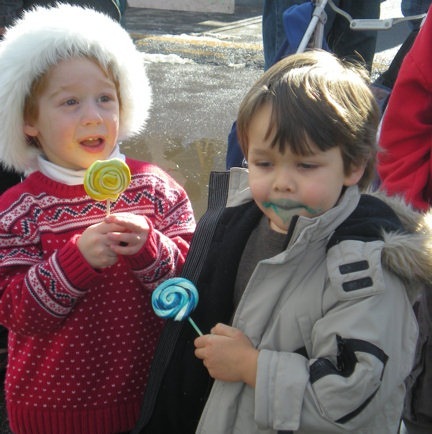 December 31, 2009 – A look back on 2009 events, people, places and food worthy of remem bering and repeating. With five extended trips to Florida for my elderly mother we didn’t get to all the places planned or on the wish list; yet, close to home, familiar haunts, new discoveries and experiences provide rich and rewarding memo ries. Ohme Gardens – Wenatchee, Washington: Granddaughter Jasmine was excited to share this unique hillside garden above Wenatchee and the Columbia River. We spent a couple of hours exploring the trails through the evergreen oasis that started as a private dream and evolved into county park treasure. Taos Guest House – Taos, New Mexico: While Bob attended the Kilborn painting workshop Nancy regained a level of sanity and serenity in this ideal casita rental. Casa de la Abuelas is within walking distance of Taos Plaza, museums, unique shopping and excellent Southwestern fare. Southwest Inn – Sedona, Arizona: Check my previous post for a full description of this comfortable Sedona lodging at a moderate price point. Shrimp Diabla, Los Mayas – Santa Fe, New Mexico: I’m hooked on their Plantain Enchiladas Mole but Bob’s Shrimp Diabla entre lured me to try something new. Jumbo shrimp sautéed with vegetables attractively served in a creamy chipotle sauce with Spanish rice and avocado – luscious! Add in the welcoming host and live music for an enjoyable Santa Fe evening. Staybridge Suites – USA: InterContinental Hotels brand designed as extended-stay facilities offers additional space and amenities over the typical hotel/motel room. Our first Staybridge Suites visit was in Las Cruces, New Mexico; since then we’ve also stayed in facilities in Portland, St. Louis and Colorado Springs. Hint: excellent weekend prices. Chihuly Nature of Glass, Desert Botanical Garden – Phoenix, Arizona: The incredible, creative glass sculptures by Dale Chihuly drew huge crowds to Phoenix’s Desert Botanical Garden. The special exhibit was one of the main motivations for our late winter Arizona trip.We made both day and night visits for photo opportunities. The garden is currently raising funds to purchase Chihuly’s Desert Towers for permanent installation outside the main entrance. Bananas Praline French Toast, Hurricane Cafe – Juno Beach, Florida: My idea of the perfect breakfast – thick slices of bread dipped in cinnamon and vanilla egg mixture hot off the grill with sliced bananas and their homemade praline sauce. Add an order of smoked bacon and a tall glass of milk – divine. Judy, Janis and I discovered this place in January and have since been back for breakfast, lunch and dinner. Quality food, friendly service, unassuming and affordable – what more could one want? See previous post for more details. 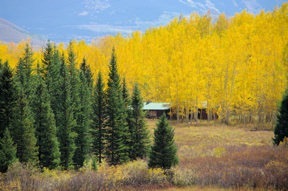 Golden Aspen – Gunnison County, Colorado: A mid-September weekend trip to Crested Butte provided a golden opportunity for photos of mountainsides of golden aspen. Side trips to Gothic, Ohio Pass, Cumberland Pass, Tincup and Taylor Reservoir filled the autumn days. The best part was sharing the adventures with sons Eric and Michael. We came across the decaying remains of a log cabin with a pine tree growing inside the window frame, someone had decorated it with Christmas ornaments. Eric capture the family photo. 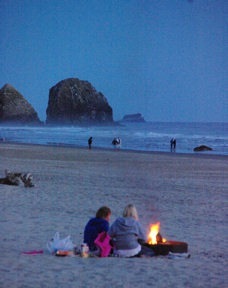 Moonlight Beach Walk – Cannon Beach, Oregon: As couples snuggle near bonfires the incoming tide teases our toes during an evening beach stroll. Sandpipers patrol the beach as tufted puffins and cormorants join a multitude of sea birds nesting on Haystack Rock for the night. Over the years Cannon Beach has become a favorite Oregon coast destination. This year’s visit was too short but rewarding the two nights we did have. No trip to Cannon Beach is complete without Sailor Jack Muffins from the Cannon Beach Bakery. Heard Museum Indian Market – Phoenix, Arizona: For more than 50 years the Heard Museum Guild has sponsored one of the premier Indian fairs and markets in the country. This was the first time we had a trip coincided with Indian Market. Strict entry requirements ensure the quality and authenticity of work from more than 700 American Indian artists – styles range from classic traditional to cutting-edge contemporary. It was a busy day with shopping, entertainment, food and activities. 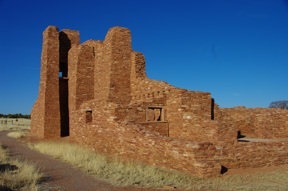 Salinas Pueblo Missions National Monument – Mountainair, New Mexico: We had never before stopped at the four sites of this National Monument in Central New Mexico. After visiting Abo, Quarai and the Visitor Center in Mountainair one afternoon we went back to next morning to see the largest of the abandoned mission communities at Gran Quivira. Caspian Cafe – Colorado Springs, Colorado: I’ve raved about this Colorado Springs restaurant in a previous post. My mouth waters just thinking about the Friday night Mediterranean herb and sundried tomato crusted prime rib. I hope we’re back soon. 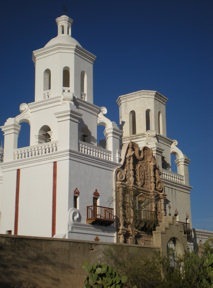 San Xavier del Bac Mission (without scaffolding) – Tucson, Arizona: Our timing was perfect for seeing and photographing the White Dove of the Desert without the scaffolding that’s been in place for years while extensive preservation and restoration work was completed on the west tower. A few weeks later work was scheduled to start on the east tower. Don’t fail to see the spectacular interior and the museum in back when you visit. Georgia O’Keeffe and Ansel Adams: Natural Affinities, Norton Art Museum – West Palm Beach, Florida: It seemed strange to be seeing this exhibit i n West Palm Beach since both artists focused so much of their work on the American West. Fascinating to compare the works of photographer and oil painter often interpreting the same subject. I’ve visited the Norton many time over the years my mother lived in the area. 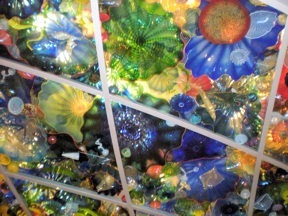 This is where I first saw the artistic glass creations of Dale Chihuly and love sitting under the glass ceiling permanently installed at the museum. Wisdom’s Cafe – Tumicacori, Arizona: Please read my previous post about dinner at Wisdom’s – great margaritas, good food, their famous fruit burro plus friendly owners, staff and clientele. After dinner here we understood why this restaurant seemingly in the middle of rural Arizona bustles with business. Lelooska Family Evening Program – Ariel, Washington: Another fortuitous timing event this year, we were in the Portland area the night the Lelooska family gave their last evening living history program of the spring 2009 season. We’ve attended other programs and events at the Cultural Center through the years and each one leaves us enriched and inspired. The scent of burning cedar, tiny sparks flying skyward, the deep resonance of the drum fill the senses as dancers enter wearing traditional Northwest Coast Indian masks. Members of the Lelooska family have shared the stories, culture, songs and dances for four decades with school children and the public. This is an amazing family effort it’s a privilege to witness. Before or after the program be sure to visit t he museum. 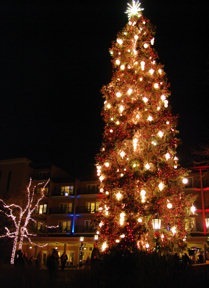 Christmas Tree Lighting, Broadmoor Hotel – Colorado Springs, Colorado: The Broadmoor Hotel’s annual tree lighting set the festive mood for the Christmas holiday season. Held the Saturday evening after Thanksgiving, the event includes music, entertainment, hot chocolate, cookies, ice sculpture, the magical moment with the tree sparkles with light and, of course, Santa. Inside and out, the hotel, restaurants, shops and grounds are dressed in holiday finery including a new gingerbread village every year. 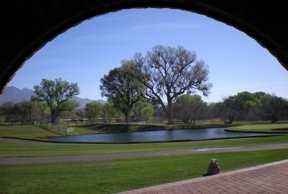 Tubac Golf Resort – Tubac, Arizona: I once stayed here on a press trip and have always wanted to return for a less hectic visit, this was the year. Although neither of us play golf Bob liked the resort as much as I did and we extended our stay. The resort lies along the banks of the Santa Cruz River on the historic Otero Ranch. Giant cottonwoods shade greens, patios and courtyards. Accommodations range from spacious posada single rooms to casitas with separate living areas, one bedroom suites and the three bedroom Otero House. Featured in the movie, Tin Cup, the 27 hole course draws golfers from around the world. In addition, guests enjoy a spa and salon, fitness center, shops and restaurants. Nearby you’ll find hiking, world-class bird watching, horseback riding, wineries and the thriving artist community of Tubac. 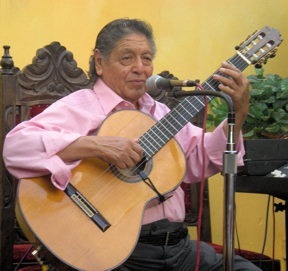 Antonio Mendoza – Santa Fe, New Mexico: We’ve admired the musical talents of master guitarist Antonio Mendoza for decades. 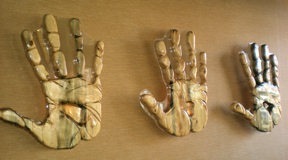 We’ve seen him in venues around Santa Fe and purchased tapes and CDs. Over the years we’ve travel many miles accompanied by his music. This summer we saw him once again performing at Los Mayas. Visiting with him during a break we learned of his artistic talents and came home with several prints of his original paintings – landscapes to roosters. In my eyes Antonio went from musical icon to friend – a wonderful reward of travel. Tracking Memories – Portland, Oregon & Vancouver, Washington: We had only one day but filled every minute with visits to favorite places from the many visits when we had family living in Portland. We started the day across the Columbia River at Fort Vancouver National Historic Site including the reconstructed Hudson Bay Company’s trading post and Officers’ Row. Bob had to have lunch at Philadelphia’s in the Sellwood Neighborhood. 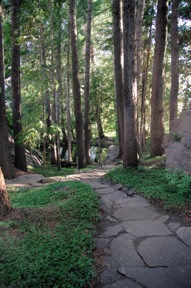 Next was a shopping trip to the Columbia Outlet in Lake Oswego followed by a scenic drive to Washington Park. With no rain and roses in bloom every attraction in the park was busy this June Sunday – zoo, rose garden, Japanese garden, arboretum, forestry and children’s museum. Trader Joe’s was an important stop since we’re deprived in Colorado being Joe-less. Between each destination we drove circuitous routes checking out former haunts. 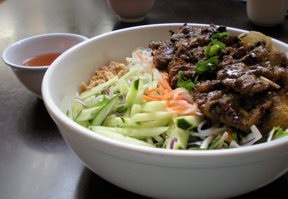 Our dinner destination had to be Pho Van for Vietnamese noodle bowl, egg rolls and creamy ginger brulee. 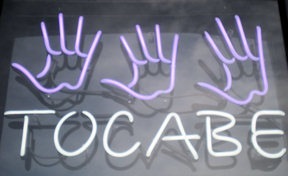 A day of memories well remembered. 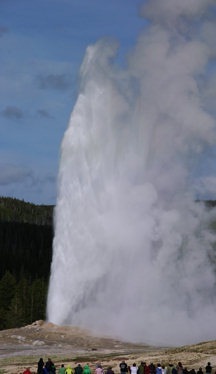 Old Faithful Inn – Yellowstone National Park, Wyoming: The fates were with me when I snagged a last minute reservation at Old Faithful Inn on our route between Denver and Spokane. The venerable, historic inn isn’t the most luxurious in the park but seems like one of those things one should do at least once in their life. 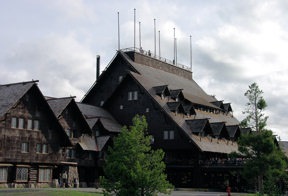 The rustic-style inn rambles off in several directions from the massive lobby with giant stone fireplace. I like to climb two floors above and observe the beehive of activity from my quiet balcony perch. 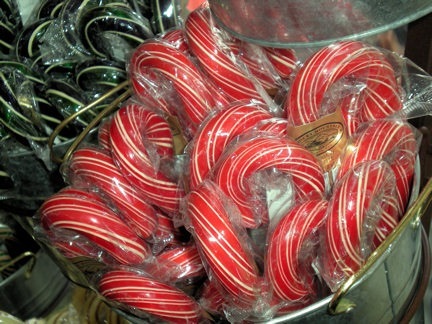 Another treat is heading to the second-floor front porch to await Old Faithful Geyser’s next eruption. Staying in the inn meant I could catch a nighttime spew when most of the tourists have departed. Not bad memories for an “off” year. 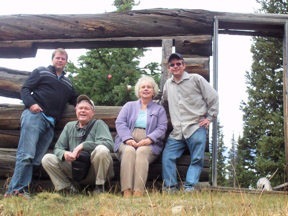 Plus we revisited a number of places I included in my 2008 review – Water Street Inn and pianist Doug Montgomery in Santa Fe, Wyoming’s Elk Mountain Hotel, John G’s breakfast in Lake Worth, Florida, Passkey’s in Pueblo and Sunbird brunch in Colorado Springs. As I trip down my 2009 memory lane I’m reminded of how grateful I am to have opportunities to travel, see America’s bounty of natural wonders, meet extraordinary people experience welcoming hospitality. Bring on 2010 and new adventures. I well remember my first taste of fry bread. Under a shady ramada in the middle of the historic Taos Pueblo a grandmotherly woman removed the golden puffed pastry from a cast iron skillet. Handing me the laden paper plate she pointed to a squeeze bottle of honey. Yum – every bite was quickly consumed, I’d found a new culinary treasure. I soon learned fry bread also served as a base for Indian Taos, piled high with meat, beans, cheese, tomatoes, onions, lettuce and salsa. Over the decades I’ve consumed Indian Taos and fry bread dusted with powdered sugar or dripping with honey at pueblos, pow wows, festivals, and restaurants on the Navajo reservation. When I heard there was a restaurant featuring the Native American staple opening in North Denver I put Tocabe on my “Must Visit” list. Like that first fry bread every bite at Tocabe disappears quickly. The menu is simple: American Indian Tacos, Stuffed Indian Tacos, Medicine Wheel Nachos, Little Osage Pizza – made with fry bread, of course. The soup choice changes daily – green chili clam chowder on Friday. And, for dessert, fry bread with honey, cinnamon or powder sugar and dessert tacos – fry bread topped with hot apples or cherries. Located at 44th and Lowell in the Highlands Neighborhood, Tocabe welcomes hungry patrons to a clean, crisp, contemporary space. The rough stone wall with candle cradling niches reminds me of standing amidst the remains of earlier cultures at Mesa Verde or Chaco Canyon. A friendly staff assists with choices for our made-to-order taco. 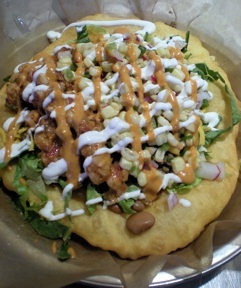 Each piece of fry bread comes directly from the kitchen steaming hot. We begin by adding meat and beans: ground beef, shredded beef, chicken, ground buffalo, extra meat or vegetarian, black beans, pintos or chili beans. Followed by yea or nay to cheese, tomatoes, lettuce and purple onions. Choose two from the hominy or white corn salsas, mild or hot, red or green chili. Top everything off with sour cream, chipotle sauce – or both. On our most recent visit Bob and I attacked our plates as if a time clock were ticking, slowing consumption only for complimentary murmurings. 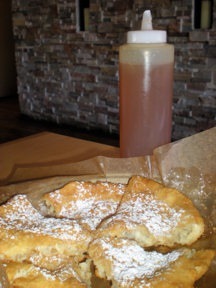 Who can leave without sharing a fry bread with honey for dessert? Not us. As Tocabe approaches their 1st anniversary in business we’re convinced Denver diners are extremely fortunate to have their very own American Indian Eatery. Celebrate fry bread. When You Go: Tocabe, 3536 West 44th Avenue, Denver, CO, 720-524-8282, is open Monday through Saturday 11am to 9pm and Sunday noon to 8pm.